I know I have NOT been a good blogger these last few weeks, but you will be happy to know that I just set up enough posts with pictures to post everyday, a lot, more this week, month….. we will see what happens with that. 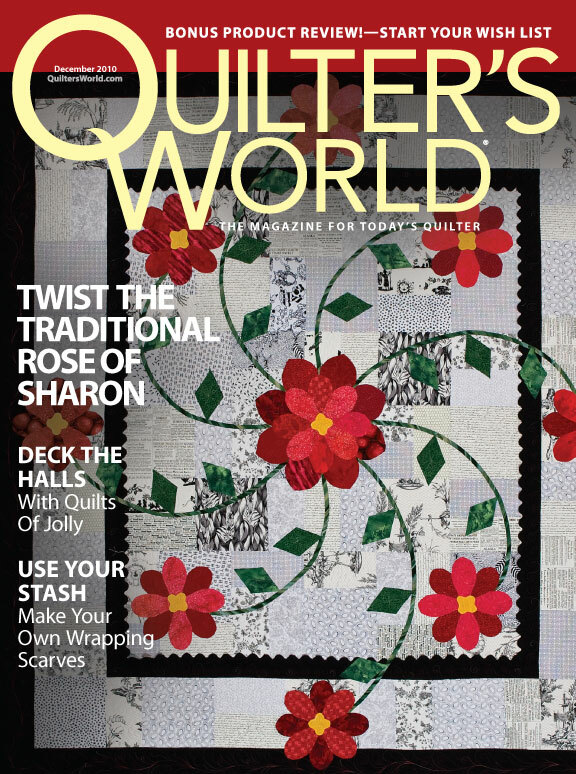 I just quickly wanted to share this quilt that is in the December issue of Quilter’s World. I hope you like it. I had a blast doing it. It is mostly made of Michael Miller’s Christmas fabrics….there are a couple small bits of Patty Young’s Andalucia in there too I think…. I think I might be a bit late posting this, so I hope you can still get a copy if you want one…..I just saw on their site that their February issue is already out….sheesh….time flies!! 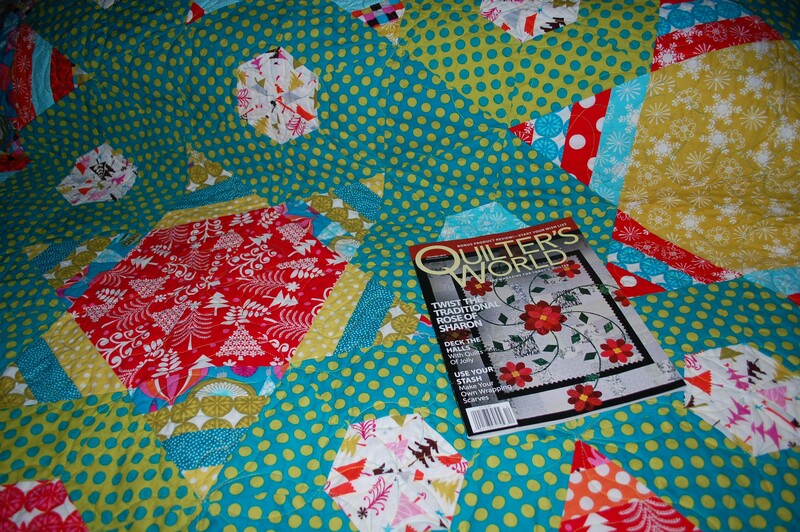 The following pictures are courtesy of Quilter’s World themselves….they took way better shots than I managed to get. I just love all the dots and the fact that it’s in “Christmas” colors, but far from traditional, even with a fairly traditional block style…. So I know I am busy….I bet you are too….if you have the time stop and tell me what you are up too….I love hearing from you!! I have more stuff to share soon…and I am still working on getting more down-loadable pattern links on my downloads page. There are at least three more coming up…thanks for being patient on that front!! Have you seen my Moda Bake Shop recipe? 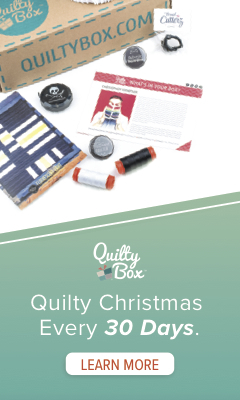 You could still get one done in time for Christmas if you start right away. Remember to post anything you make from a Blue Nickel Pattern here too!! Great quilt! I’ll have to look for the magazine. Hope your holiday season is going along merrily! 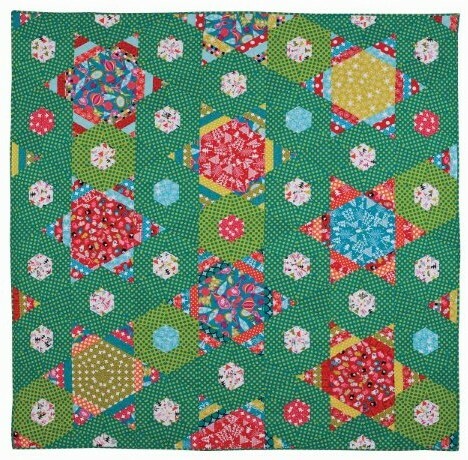 Now that’s a great quilt….fun and bright. 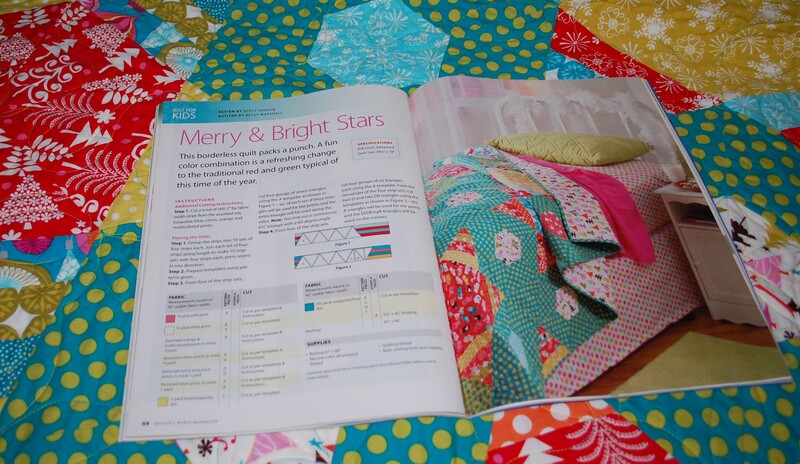 that’s a variation on the classic Christmas quilt that I could go for. Thanks for sharing.